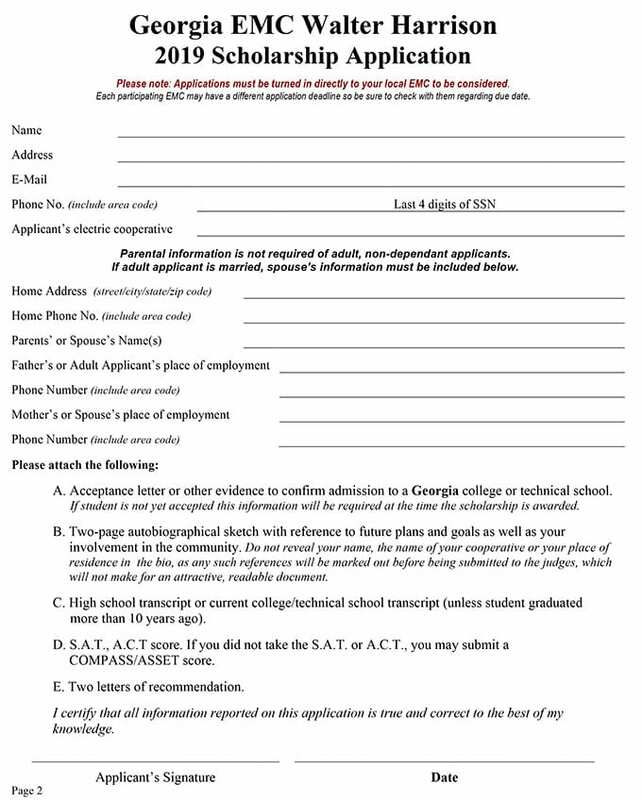 This scholarship was established by the Coweta-Fayette Trust Board for both prospective and current students of West Georgia Technical College or Southern Crescent Technical College. This scholarship was established in memory of Melissa Segars, whose undaunting personal courage in the face of severe physical limitations inspired thousands. This statewide fund is sponsored by the EMCs in Georgia. The recipient's primary residence must be the household of a Coweta-Fayette EMC member or their employees'. All EMC members and employees are also eligible. Click here to download The Walter G. Harrison Scholarship PDF application.